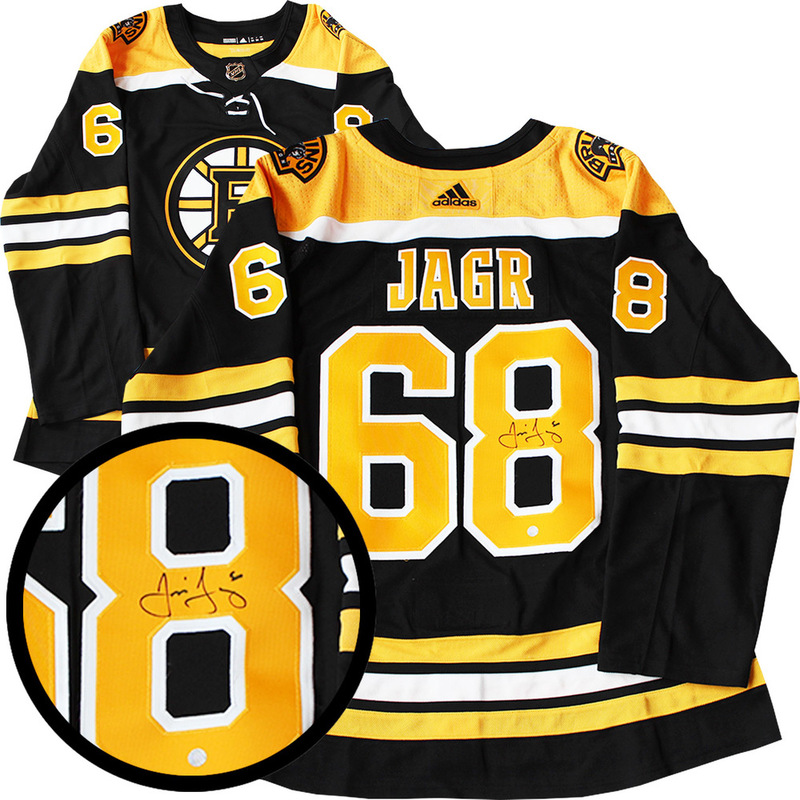 This jersey comes personally signed by elite sniper, Jaromir Jagr. Jagr has an incredible 1,921 points in 1,733 games. Jagr has an astonishing amount of awards under his belt, back-to-back Stanley Cup victories with the Penguins in 91 and 92. Jagr has won the Hart, the Bill Masterson, 3x Ted Lindsay, and 5x Art Ross trophy. Jagr had his career year during the 1995 season, scoring 62 goals, 87 assists and 149 points over 82 games. Jagr was named one of the 100 Greatest Players of all time. A Frameworth hologram and certificate of authenticity are included to ensure the legitimacy of the signature. Frameworth is an official licensee of the NHL & NHLPA.